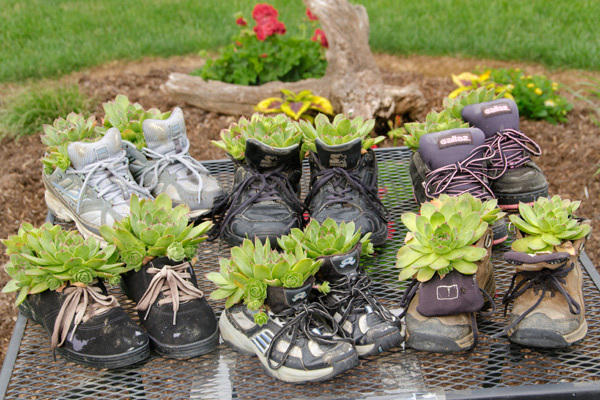 This roadside stand is selling old shoes filled with hens and chicks. 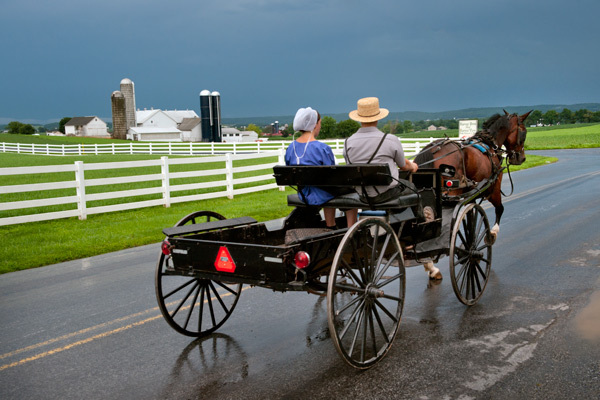 This Amish couple head out after a nasty storm hit the area.I was actually shooting the farm and fence contrasted against the dark sky when they happened by. 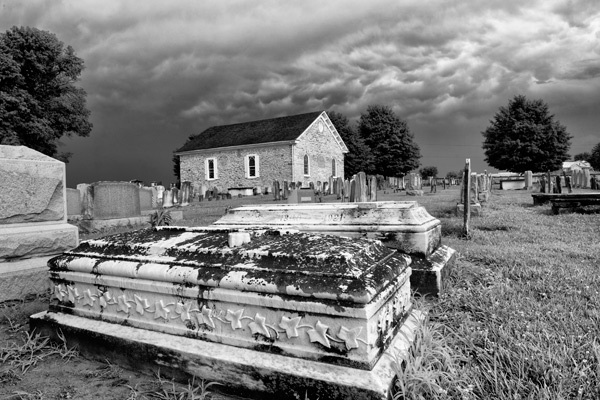 Strange clouds roll across the sky in this cemetery image. 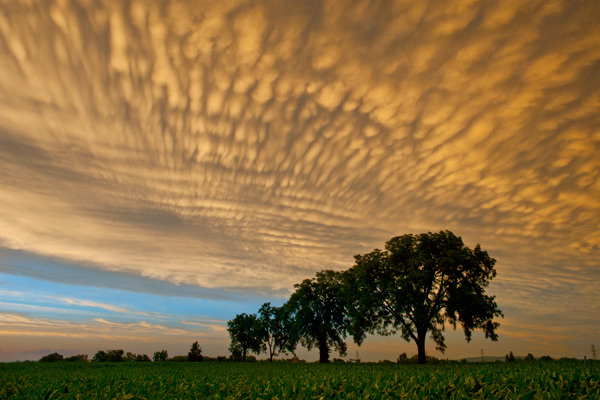 This was the sunset around my area on tuesday evening,and unfortunately this was one of the few spots I could find. It was a night were you could rotate 360 degrees and the sky was amazing wherever you looked. They had an explanation on the news about the strange clouds,and mentioned inversion but I forget.I actually overheated my truck from flying around a few roads trying to get something but I came up short on this one. 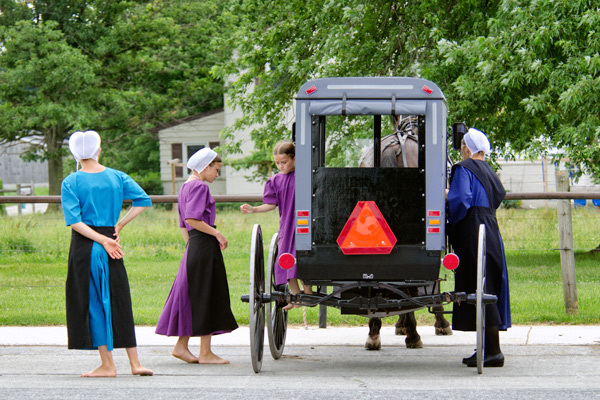 A young Amish mom pulls her son in a tiny trailer behind her scooter. 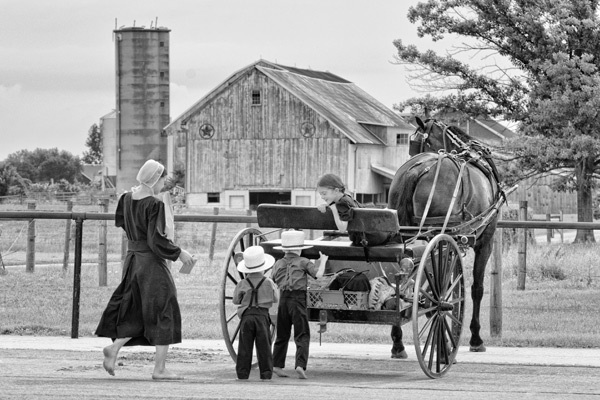 This Family unloads from the buggy as they arrive at the country store to do some grocery shopping.